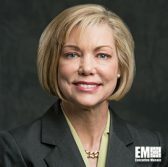 Engility has received a pair of task orders worth $14 million combined to develop and optimize high-performance computing software for the National Oceanic and Atmospheric Administration‘s climate and weather research efforts. The company said Monday it will also help NOAA’s Geophysical Fluid Dynamics Laboratory access scientific data and manage cybersecurity of a research and development HPC system. “As we saw with Hurricanes Harvey and Irma, a deeper understanding of climate and weather are critical to America’s preparedness, infrastructure and security stance,” said Engility CEO Lynn Dugle. Dugle, an inductee into Executive Mosaic‘s Wash100 for 2017, added the company aims to help customers implement HPC technology to discover and analyze scientific data sets. Each task order contains one base year plus one option year and work covers data analytics, visualization, network and web development support for NOAA’s GFDL organization.